Hello, hello! 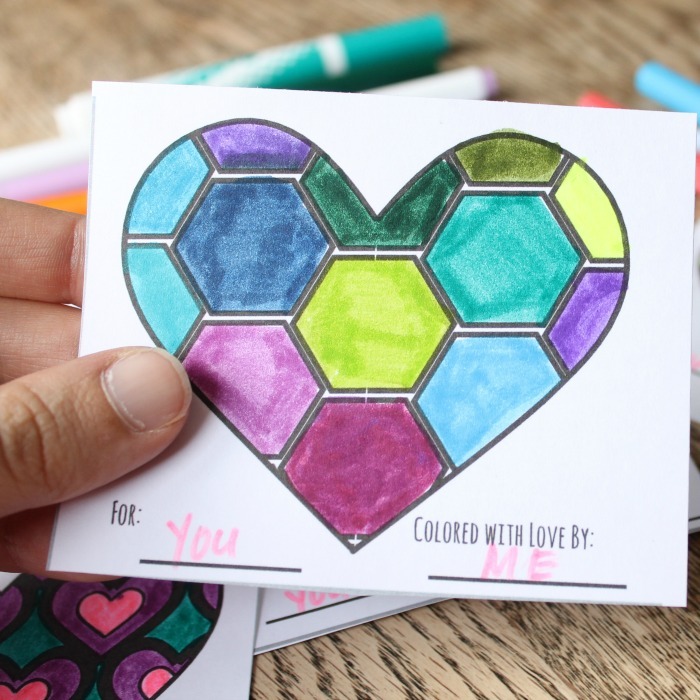 Today I am sharing a Valentine that I made for my son this year. It is just a simple little design, but since I know the he isn’t the only little boy that loves tractors, I thought I’d share it here too. 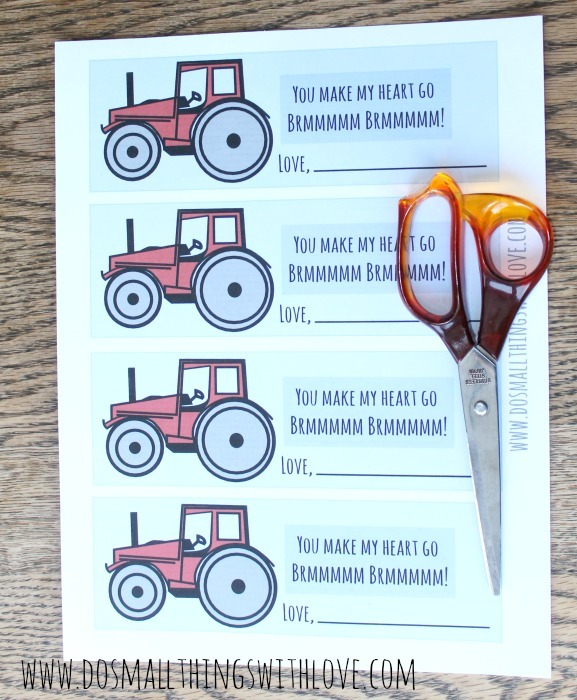 And so, here it is, Free Printable Tractor Valentine! Anyone else have a little boy that runs around their house going “Brmmmm, Brmmmm!” all day long? My son is obsessed with tractors. We play tractors, he pretends to be a tractor, we talk about tractors and my dad, who is a farmer and drives lots of tractors, is one of my son’s heroes. If it has something to do with a tractor, rest assured, he’ll love it. And, just as I thought, he loves these Valentines. You make my heart go brmmmm, brmmmm! Don’t you just love how cheesy Valentine’s can be? 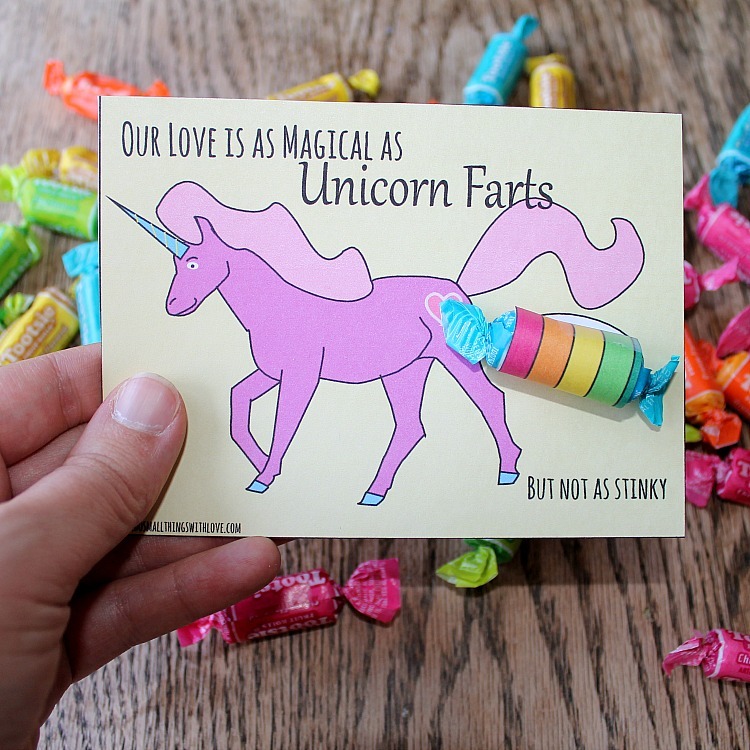 I think I have made so many free printable valentines this year just because I love being cheesy. 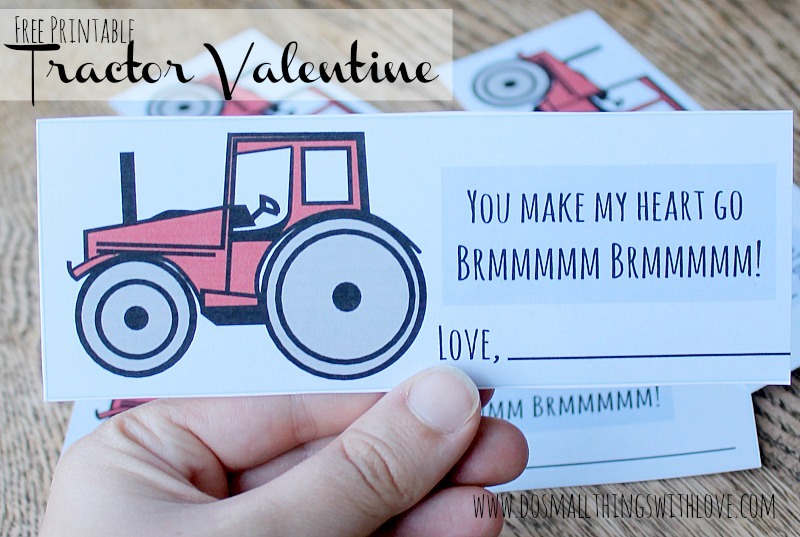 The Free Printable Tractor Valentines are simple, but my son likes them. I hope your little guy like them too! Feel free to click the link below and download the PDF directly to your computer and print away! They will print out 4 to a sheet. There is no specific spot to add a treat, but just print on cardstock, for best results, and tape a treat anywhere! And, before I go I just have to share a picture of my little boy riding in the tractor with his Grandpa. It is so nice that tractors these days come with an extra little seat and seat-belt. The perfect spot for a farmer-in-training! That is one happy boy out there working with his grandpa. PS–here are two more Valentines I’m offering as free printable! Thanks, as always, for being here! creative. but it’s a little hard to print it since the thumb’s in the way. but i get the idea. nice, creative work Nancy. 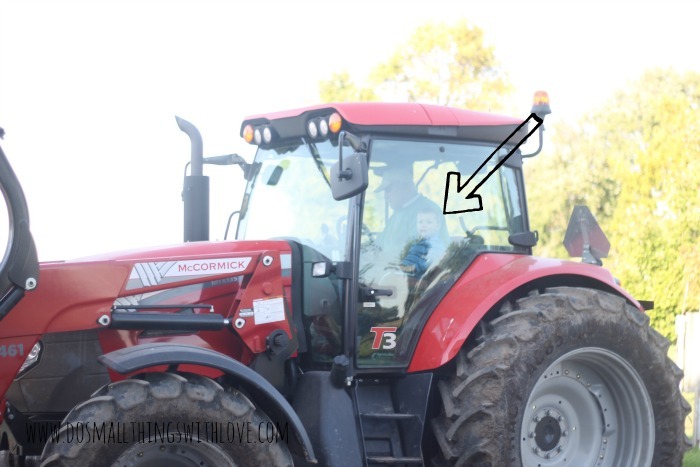 Right above the picture of my son in the tractor there is a link to a PFD for you to download and print. Let me know if you have any issues. This download is not working. Can you possibly fix it? Thanks for telling me. Please try it now, I just changed the link, so hopefully it is working now. Sorry about that!! I was so excited when I discovered your adorable tractor Valentine card. It is perfect for my 3 year tractor obsessed little boy to give to his friends. Unfortunately, the PDF is not working. Please tell me you can have it corrected soon so that I can print these out. Thanks so much! Thanks so much for telling me! I just went and redid the link, so, fingers crossed, it is working now. I hope it does work, and that you and your son have a wonderful Valentine’s day!